Seafood Imp Ltd and, finally, Marines Aquaculture Ltd - the last two being the Sagun seafood brands. 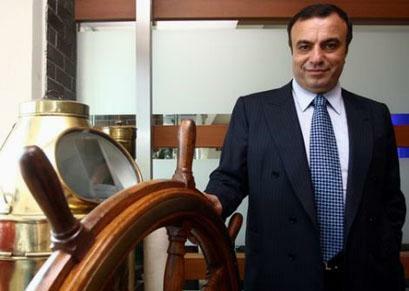 TSM Deniz Ürünleri was set up as the tuna farming arm in 2002 - it catches, farms and then exports tuna to Japan and other countries. It claims to be the first and only owner of a tuna farm with ISO 9001certificate in the Mediterranean. The company’s first farm was set up in Antalya near to its processing factory, but it realised its second farm project in Izmir in 2009. Both farms have the capacity to farm 1,000 tonnes. The Antalya processing facility has -25°C cold air storage with the capacity of 6,000 tonnes, -70°C superfreezer storage with 300 tonnes capacity and -110°C shocking units, so there is room to do more business. During a tour of the fish farm in Izmir, Mr Yunus Erdinç, general co-ordinator, explained to World Fishing & Aquaculture that the largest ever tuna to be reared at the eight cage facility came in at 520kg - but they are sold to the market between the weights of 50kg and 500kg, depending on what the customer wants. The largest fish reside in cages almost six miles out to sea. The tuna need 60 tonnes per day of largely imported pelagic fish for feed - mainly sardines, herring and squid andare fed manually from vessels. Mr Erdinç talked about the market value of tuna changing constantly due to the wild catch quota, but the stable nature of the market for seabass and seabream ensures a steady income for the company. Interestingly, the company is looking into starting a tuna hatchery at the moment so there may well be some developments there in future. When it comes to seabass and seabream the farms produce 1,800 tonnes per year. At least 70% of the fish is exported - mainly to the EU and Russia. As well as being a more ready source of income, seabass can be harvested all year round and continually replenished with juveniles. The fish are all fed automatically with imported pellet feed and they consume about 100 tonnes per week. Up to three cages can be fed at a time and this is all controlled by a special computer system which connects to cameras within the cages (three in each) which monitor, among other things, number of fish, size and total weight in one cage. And these results are monitored continuously when it comes to water quality, fish health, fish feed, water and bottom silt. Because Sagun doesn’t have its own hatchery currently, the juveniles are bought in from a hatchery in Bodrum and transferred to the cages at a weight of around 40g - both seabass and seabream will then take around two years to reach market size, which is 250g for seabream and 250-300g for seabass. 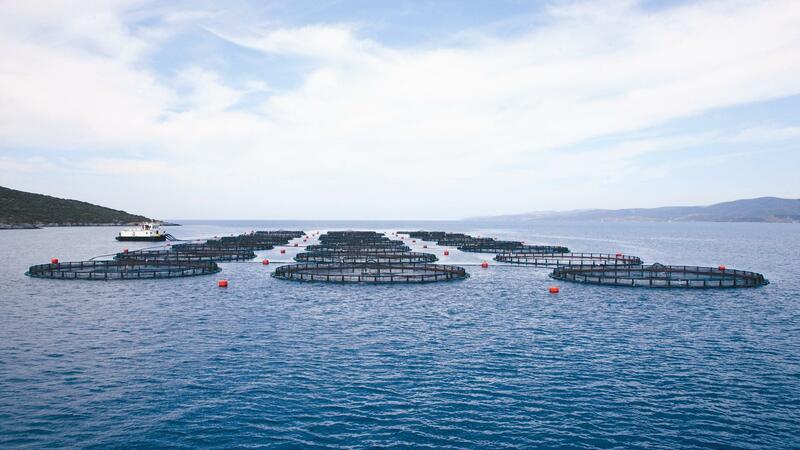 The farms have a total of 48 cages for seabass and seabream ranging from 24 up to 30m in diameter. All processing is done on vessels - Sagun has five at the Izmir farm, some are used for feeding, some for processing. And Sagun believes there is potential to do more in the seabass and seabream markets, despite ferocious competition on the south west coast of Turkey - it’s applying to the government to increase the capacity of one farm to 2,000 tonnes.